I wanted to try and consolidate the things I learnt on the course which is tricky because the course was chock full of content. But as the next step is to apply what I learnt to my work with startups in Qatar, I’d better give it a go. First up we were shown this ancient looking but still highly relevant and inspiring documentary showing the process IDEO used to redesign the shopping cart. I encourage you to take a look and be inspired by experts at work innovating a very commonplace piece of equipment. 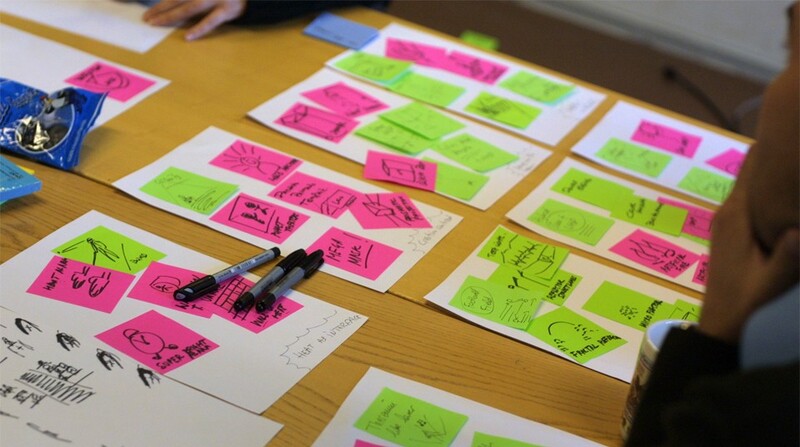 Whilst the IDEO example is a physical product, and indeed the MIT Design Thinking Course was focused around physical objects (goods), all the approaches and learnings were completely relevant to digital products. 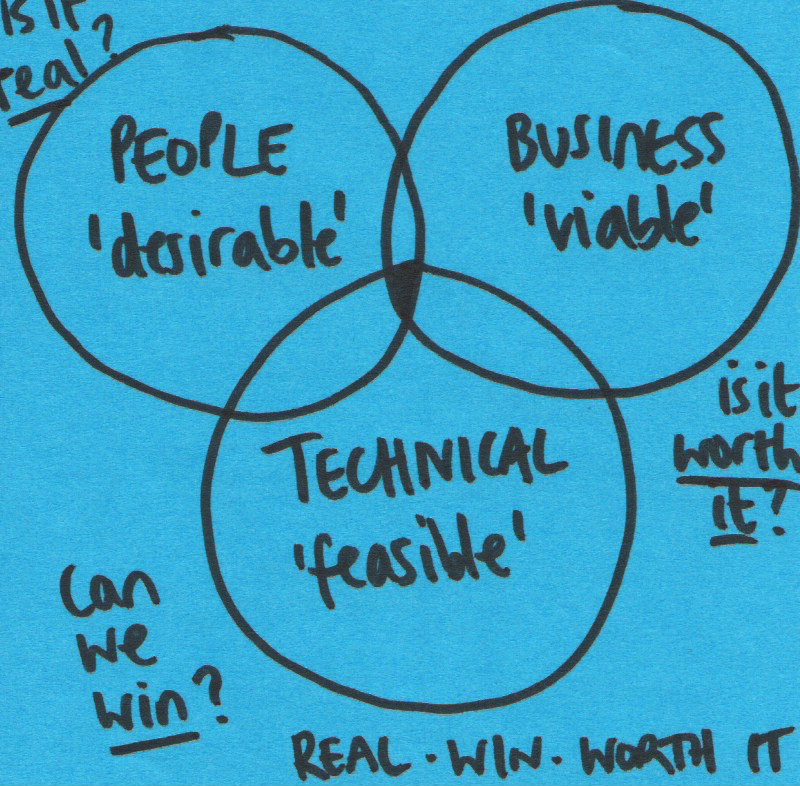 For a product to succeed it has to address real customer needs (be desirable), win at the implementation (be technically feasible), and be worth the investment (be viable, and preferably profitable). The course focused a lot on the process of designing innovative products, shown above as 1.1) identifying customer needs, 1.3) generating and 1.4) selecting product concepts. As demonstrated in the IDEO video above, the starting point for any innovative product development must be talking to users and identifying their needs. Sometimes these are obvious and communicable, sometimes needs are hidden and users can’t express them. These are called ‘latent’ needs. A very basic example of this is Apple’s Magsafe power cord. Apple engineers noticed people tripping over the cables attached to their laptops, so they introduced the magnetic attachment as a solution to that previously unmet and hidden need. Identifying and responding to latent needs is the key to innovation. You may have many competitors in the market but if your product addresses genuine needs that your competitors haven’t even identified you have a competitive advantage. Worth also pointing out that most technology products today (software and hardware) are designed to address latent needs. Globally the technology ecosystem is still young and societies around the world have functioned pretty well throughout history without much (digital) technological help. Your job as a startup and entrepreneur is to identify where there are genuine latent needs and either be the first to address them with technology, or be better at addressing them than your competitors. How many users do you need to ask? Here’s an interesting study that was conducted by researchers at MIT. They looked at how many focus groups versus one-to-one interviews you need to conduct in order to discover all the relevant needs for a particular product or service. 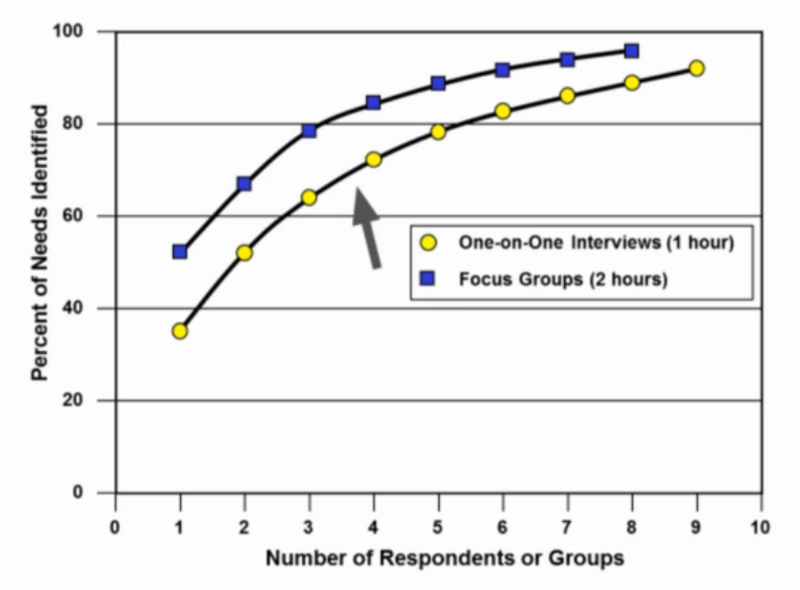 What they found was that conducting around 8 one-hour interviews with individual users would reveal around 90% of user needs, which was the same outcome as conducting around 8 two-hour focus groups made up of 5–6 people. Organising and conducting focus groups is more time consuming and difficult to do. So, to identify the majority of your user needs you just need to sit with 8 individual people. You will need to format the interview to be most effective and you will need to pick the right people, but I hope this insight makes capturing user needs feel achievable. Once you’ve interviewed your 8 willing participants you’ll need to interpret what they have said as a series of ‘user need statements’. User needs statements should be written before any design brainstorming takes place. They are used to inform the creative process of coming up with viable solutions. They are different to the agile user stories methodology but do not replace user stories. User stories come into their own during the software development process. These user need statements come before the product is even fully conceived. The MIT guidelines for writing user need statements take the development of a new screwdriver as an example. I’ve replaced this with a software example to demonstrate how user needs statements can also work in web and apps development. Some of these points seem arbitrary. But when you have written tens or possibly hundreds of user need statements it’s useful to have a common format. Remember user needs statements are there to support the development of innovative ideas so they should not dictate a solution, rather present a problem to be solved. There are two types of user that are useful to consider if you want to innovate. Extreme users are those people that have special needs that your product could address. For example an older person with arthritis, a person with a disability such as low vision, someone who needs a specialist solution for their work. Studying these folks may help you find a better solution for everybody. Lead users use your product or products like yours a LOT. They may have found a way to adapt a product to meet their specific needs. Studying these folks will help you learn where there are opportunities to improve your product. I would like to add a third user type to this list: Novice users. Novice users are people who claim to be technically illiterate. They struggle to use user interfaces and will often need help understanding how to perform tasks on screen. Studying these people will help you learn how you can make your product really easy for everybody to use. Once you have a nice set of user needs statements it’s time for the fun part — coming up with a solution that meets your users’ needs. There are lots of different approaches to brainstorming and it’s up to you to find one (or several) that works for you. The guys over at Google Ventures have some great ideas that can work really well for coming up with product ideas. Check out their ‘Tuesday’ video for more details. Personally I love ‘Crazy 8s’ for rapidly sketchreing ideas or just for warming up the creative muscles. You might want to write down some ideas formatted as ‘how might we….?’. The key thing is coming up with lots of ideas and then building on the ideas of others. ‘Crazy 8s’ — Fold A3 paper into 8 pieces and you have 30 seconds per rectangle. Stick things to a wall, use a whiteboard, whatever you need to do but make sure everyone can see everyone else’s ideas. Be honest but choose your words carefully, try to find something that can be built upon rather than simply rejecting or criticising an idea. Can you improve an idea? Can you add something to it? Don’t worry too much if they are REALLY wild. If you follow the rest of the points listed here you may find the crazy ideas turn into something brilliant and achievable. It’s better to draw if you can. It doesn’t matter if you aren’t Picasso! 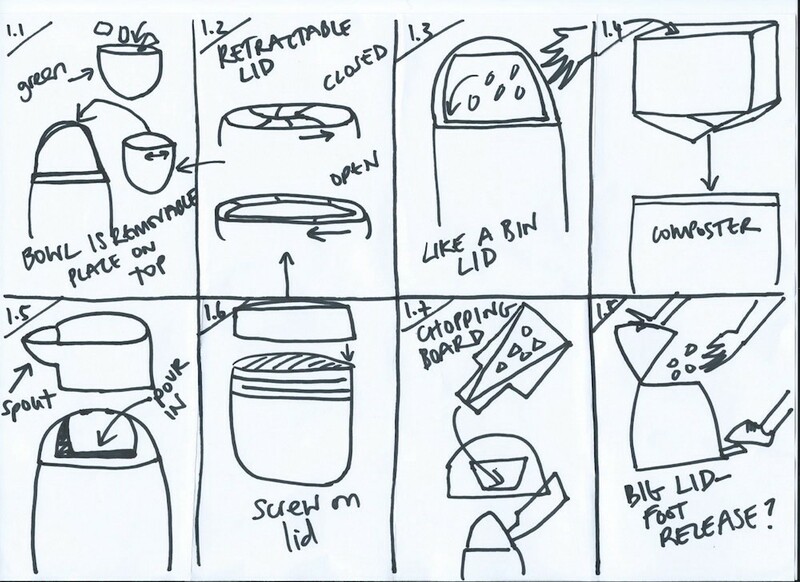 Visualising your ideas helps others understand them too. Have a facilitator who can keep you focused. Lock yourselves in a room, switch phones to silent. Make sure there is catering! Whatever you need to do to keep everyone focused on the job at hand. If you want to go off-topic or explore a different area, make a note of it and come back to it. This could be in the form of user interviews, videos, pictures. Visual stimuli is best. Once you’ve got lots of brilliant ideas plastered over your pristine office walls, you’ll need to decide which ones you will take forward and make part of your prototype. Here again you have some options. My favourite form of down selection is open multi-voting. This consists of the brainstorm participants voting for their favourite ideas with stickers. Usually participants are restricted to a number of stickers each. Sometimes a CEO or lead stakeholder will have a ‘super vote’ and be able to promote the ideas they think are best. Use sticky dots to cast a vote. Open multi-voting is very fast and as it is usually done by the participants of the brainstorm there is no further work required to facilitate feedback. A more realistic approach for SMEs and larger organisations may be having the group leader (CEO, lead stakeholder) decide on their favourites. Alternatively have your customers decide! However, it’s worth pointing out that these approaches take longer and involve more work to facilitate. Connect up the solutions to find a workable, innovative approach. What you can do now is start to join up the ideas. For example, maybe a solution that captures the energy from typing this Medium post into a turbine that transfers the energy to a battery that charges my phone. How about dancing your way into space? This is a fun exercise to do with existing products too — to help you imagine how you might develop your ideas further. As I mentioned right back at the beginning, MIT’s Approach to Design Thinking course does have a focus on physical products (goods) however, the concepts and ideas apply equally to digital products and to services as well. The service provider is generally involved with the consumer throughout the experience of consumption, whereas for goods the provider is not. The rest of the examples and guidelines detailed above are generally the same. Goods, digital products and services must all be planned, have latent user needs identified, brainstormed and have the best ideas selected. 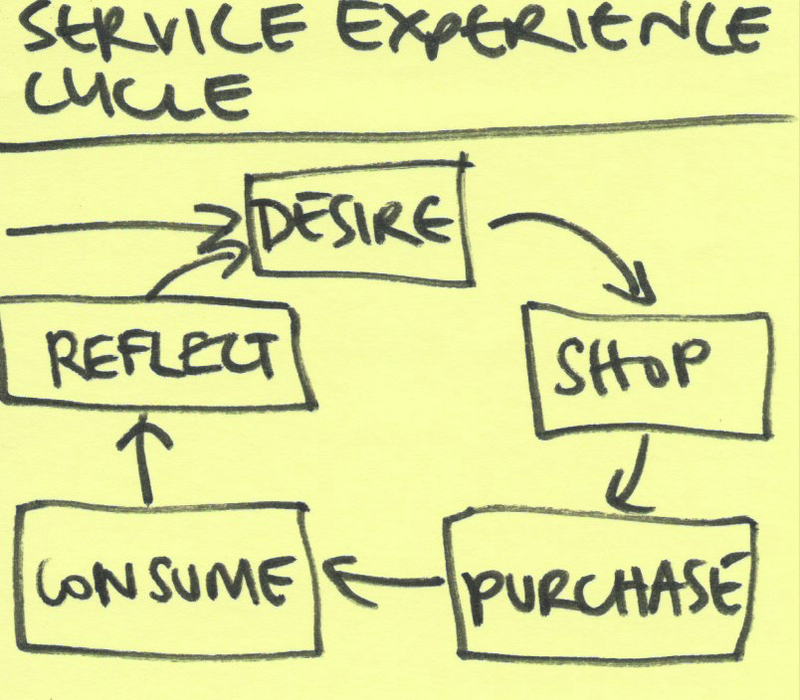 Here’s another exercise you can easily do at home — map out your product’s service experience cycle. This can be done with any and all goods, digital products and services. To get you started try to come up with the experience cycle for a service or product that you already use. You may find that there are lots of experience cycles for just one product, for example, a user facing app and a customer facing back office website. And there may be more. Each one of these can be mapped out as a service experience cycle in its own right. As I said at the start of this write up, I heartily recommend this course for anybody who is interested in exploring product development in more depth. There is loads I missed out of this write up. Some topics were amazing to learn about but made my head hurt (NPV analysis mainly). Other topics were just too detailed to explain here. You’ll just have to do the course and find out for yourself. It was definitely one of the most intensive but rewarding six weeks of my life. I have compiled a list of further reading to help explain some of the concepts and ideas above in more detail.